If you’re waiting to get an amazing deal on a compact sedan, then check out Hyundai’s Certified Pre-Owned program. At Jim Burke Hyundai in Birmingham, AL, we have one of the best selections of the Certified Pre-Owned Elantra for you to test drive. A Certified Pre-Owned Elantra provides you with the same interior features, fuel-efficient engine and stylish exterior as a new vehicle. For an incredible price on a Certified Pre-Owned Elantra, stop by Jim Burke Hyundai at 1424 5th Ave. N. Our dealership serves Hoover, Tuscaloosa, Talladega and Jefferson County, AL as one of Alabama’s premier Hyundai dealerships. Visit our dealership today for a first-class experience and put a pre-owned Elantra to the test. Hyundai’s Certified Pre-Owned program is hard to beat. All Certified Pre-Owned Elantra models are less than six model years old and have less than 60,000 miles on them. They also with a clean title and a CARFAX report for added peace of mind. Before receiving the prestigious Certified Pre-Owned moniker, each pre-owned Elantra undergoes a 150-inspection by our certified trained technicians. Every vehicle receives genuine Hyundai parts if things aren’t up to par. One of the benefits to purchasing a Certified Pre-Owned Elantra is the vehicle’s extended warranty. Each Certified Pre-Owned Elantra has a 10-yr./100,000-mile powertrain limited warranty, 10-years of Roadside Assistance, as well as the remainder of the New Vehicle Limited 5-yr./60,000-mile warranty. With a comprehensive warranty, you can use a Certified Pre-Owned Elantra on a regular basis with confidence. At Jim Burke Hyundai, getting into a Certified Pre-Owned Elantra is easier than ever. With an award-winning staff, we’ll get you a loan on a vehicle even if you have a less than stellar credit score. Our convenient website has a 30-second online application that will let you see what kind of loan we’d be able to get you. Our website also has a payment calculator that will let you see what your monthly payments would be. The staff at our dealership will work with your credit score to get you into a Certified Pre-Owned Elantra that works for you. A Certified Pre-Owned Hyundai Elantra has all of the same features as a new vehicle, without the new-car price tag. Through Hyundai’s Certified Pre-Owned program, you can get an almost new Elantra that comes with a comprehensive warranty to use every day. 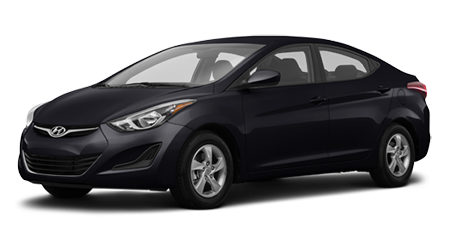 Stop by Jim Burke Hyundai in Birmingham, AL at 1424 5th Ave. N. and discover a Used Hyundai Elantra today.